In today’s world where we rely on something digital for every little task, carrying a notepad and a pen is a smooth move. At the same time, sporting a pocket square has always been an ultra suave choice for true gents. 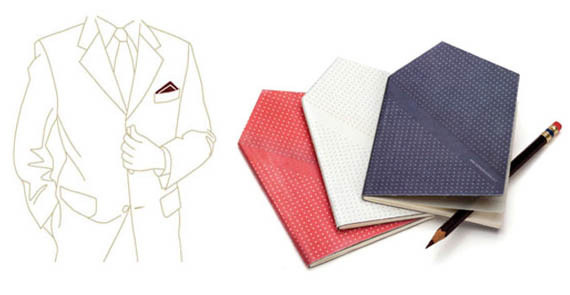 The Hankie Pocketbook combines the two to make sure you’re the coolest Casanova in town. Adding a touch of elegance and style to your image‭, it’s available in a variety of colors to coordinate with your very best suits‭, Stinson.